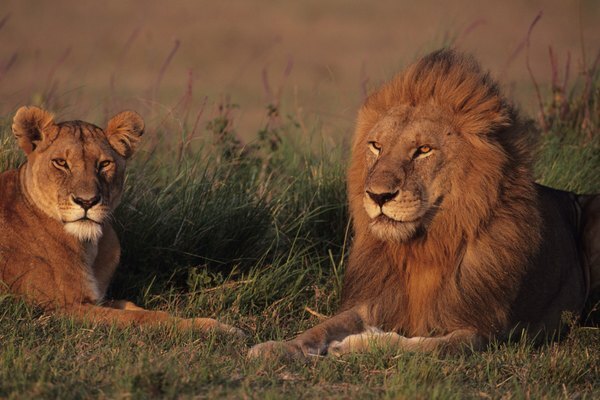 Lionesses are the primary hunters, but male lions are responsible for protecting the pride. Each job requires strength, and lions’ bodies are designed to help them survive and do their jobs effectively. 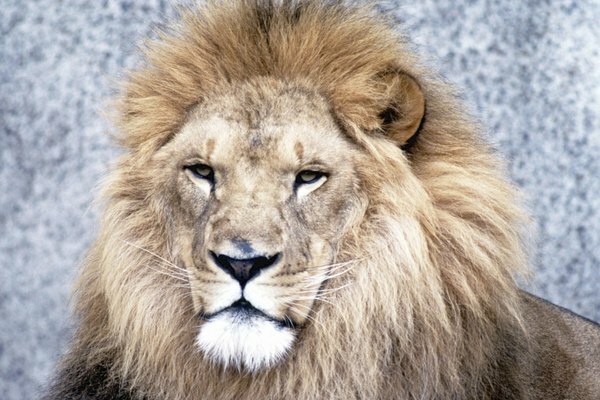 Only male lions (but not all males) have manes, which protect them from scratches when they are fighting. 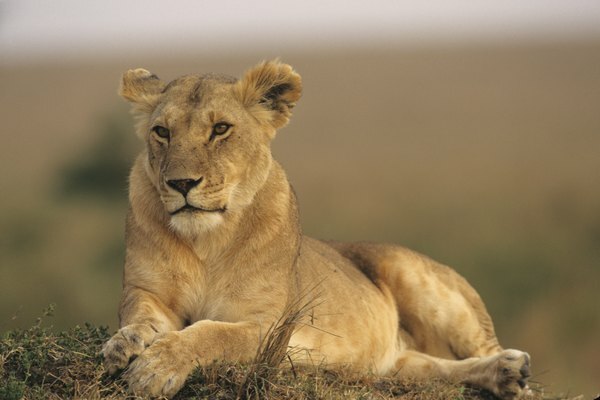 Lionesses seem to prefer lions with fuller darker manes, which surround the face and may go down the back occasionally. The lion’s tail is unusual because it ends with a tassel. 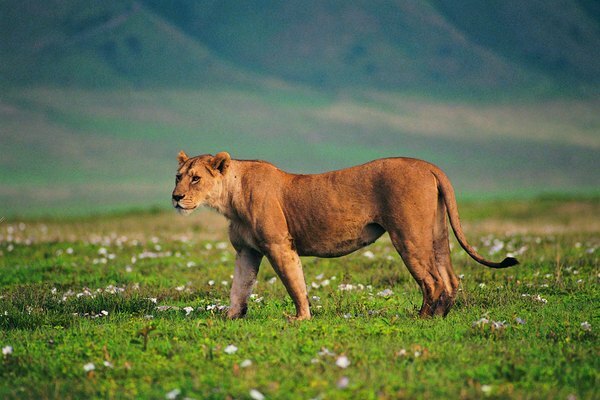 The tail helps lions maintain their balance and may also indicate their mood. The paws of the lion are very strong, providing them with sufficient upper-body strength to fight and run up to 35 miles an hour. The pads of lions’ paws are extremely soft, which allows them to move quietly, and they have sharp claws for eating and hunting. The lion has an excellent sense of smell due to this special organ located on the upper interior of the lion’s mouth. 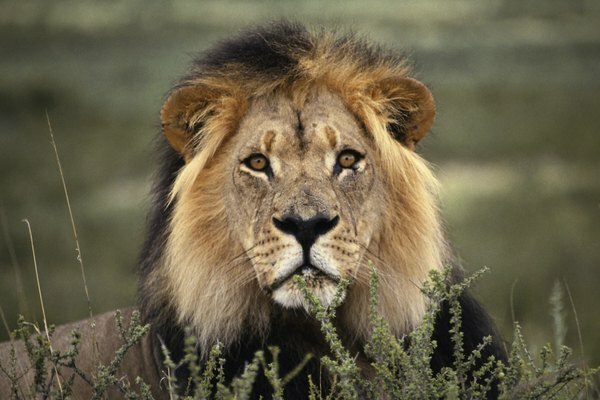 Lions have a double layer of fur that provides protection from the weather. 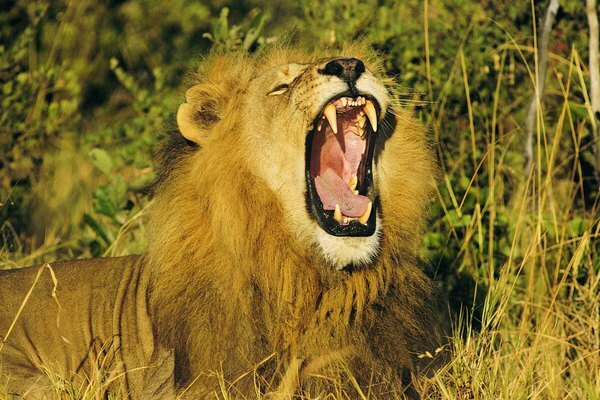 Lions have 30 strong, sharp teeth enabling them to kill and eat their prey. Molars help them rip food apart; canine teeth help them kill their prey, and their incisors are used for biting.